In this series, we'll show you how to be a dinner hero using ingredients that you can pick up at a local store like Trader Joe's or Costco. These dinners come together in under 30 minutes, and require less than 10 ingredients! Trader Joe's sells an assortment of pre-marinated meats. 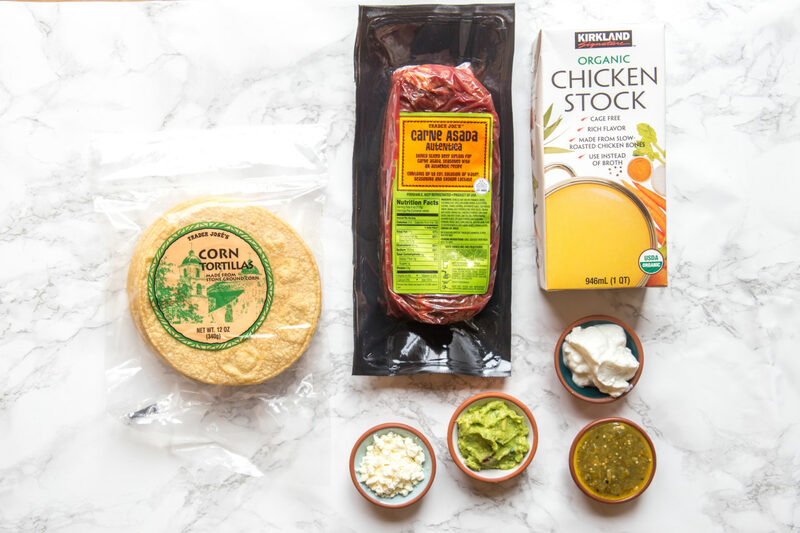 I already showed you how to use your Mealthy MultiPot to make Korean Beef Bowls using their "Bool Kogi", and Shawarma Wraps using their "Shawarma Chicken Thighs", and now I'm going to teach you how to make Carne Asada Tacos using the Trader Joe's "Carne Asada Autentica". Ok, so, technically "carne asada" loosely translates to "meat cooked on the grill". However, in my opinion, the merits of carne asada are much more about the deep flavor than they are about being grilled. 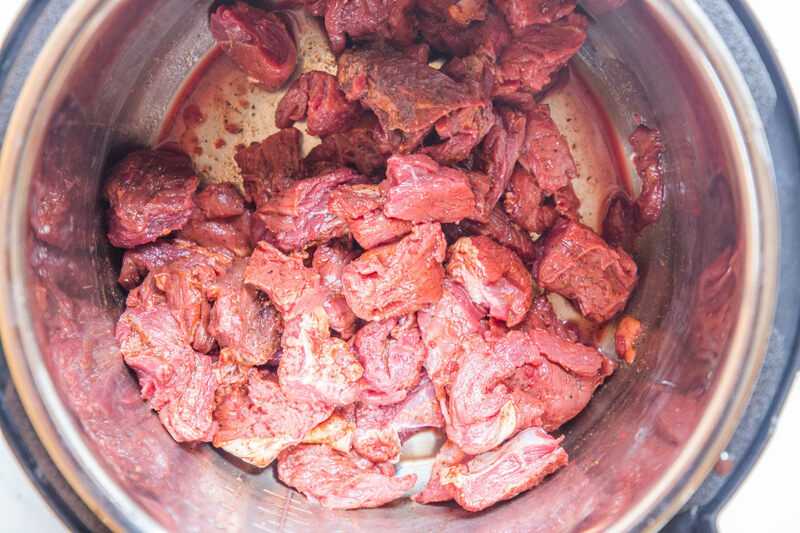 So, can we make carne asada in a pressure cooker? Yeah we can! 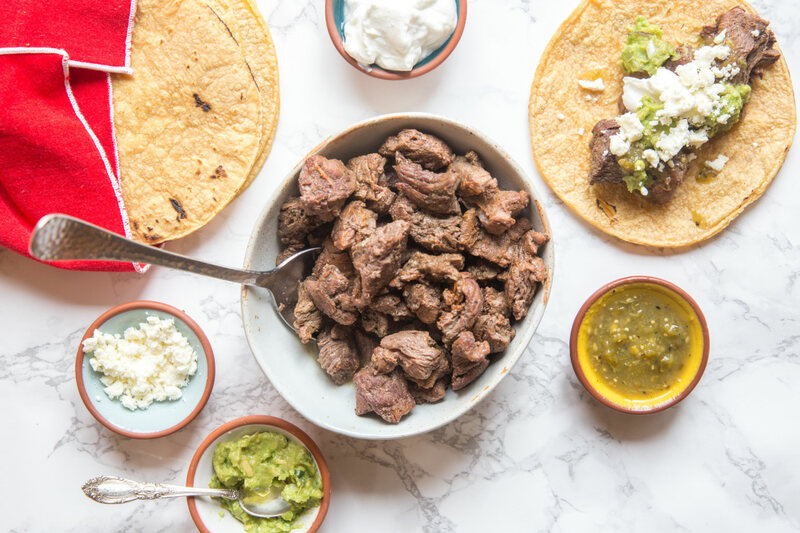 Make tacos like I did, or try your hand at pot-in-pot cooking and make Carne Asada Bowls! Follow the instructions here to make white rice in the pot at the same time as you cook your carne asada. Whether you make bowls or tacos, if you're serving your family, it's fun to set out a taco buffet like I did here and allow your guests to do their thing! 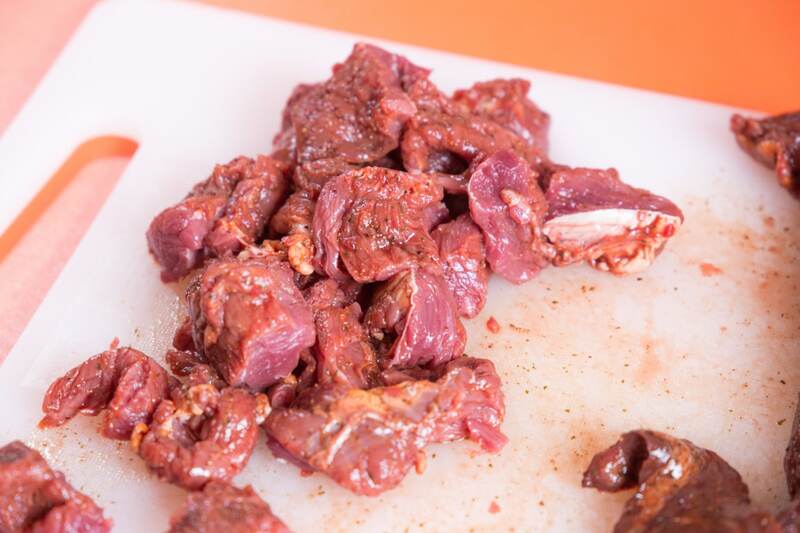 Transfer the carne asada to a cutting board and cut into 1-inch pieces. 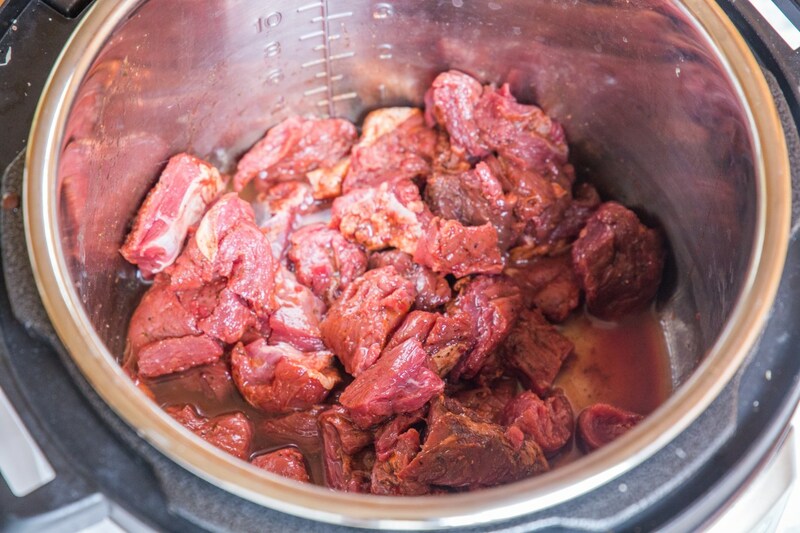 Transfer cubed carne asada to the inner pot of a pressure cooker. Pour in 1/2 cup chicken stock. Seal lid and pressure cook on High for 15 minutes. 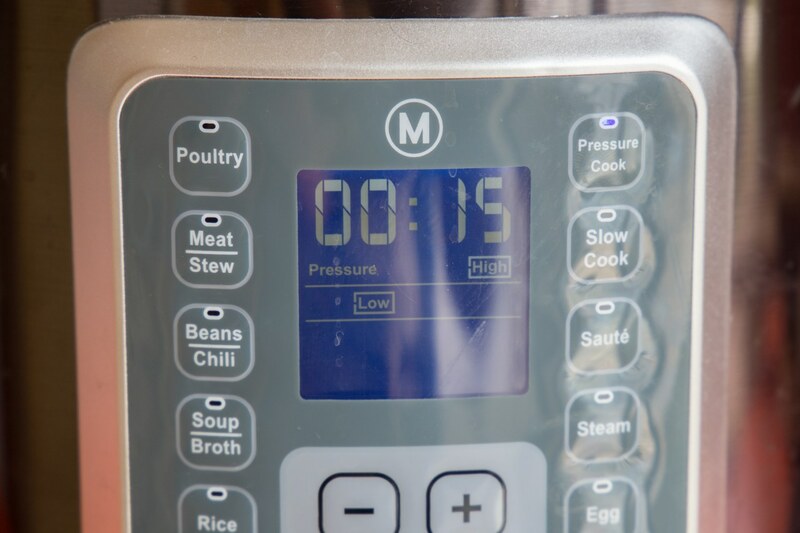 Allow the pressure to naturally release completely, it should take around 10 to 15 minutes. When the carne asada is almost ready, warm up your tortillas. 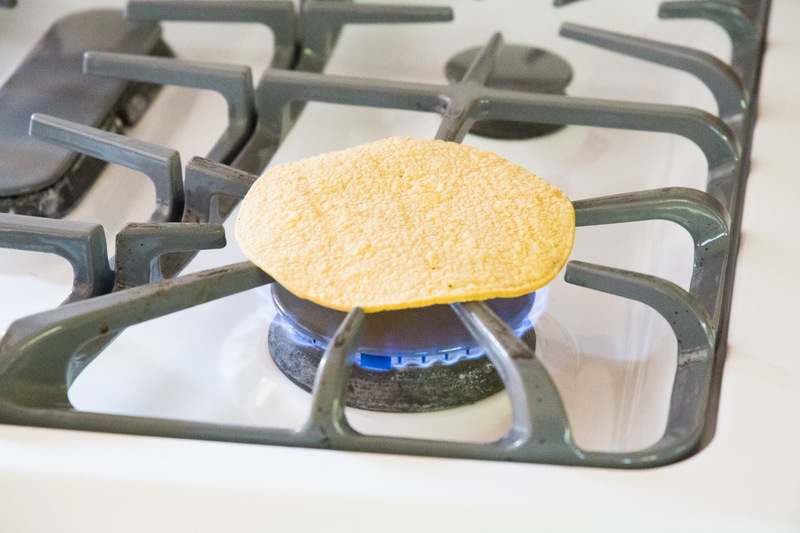 I love this janky method of cooking tortillas over the flame of a gas stovetop. It chars them up and heats them through just as though you're cooking them over a grill! 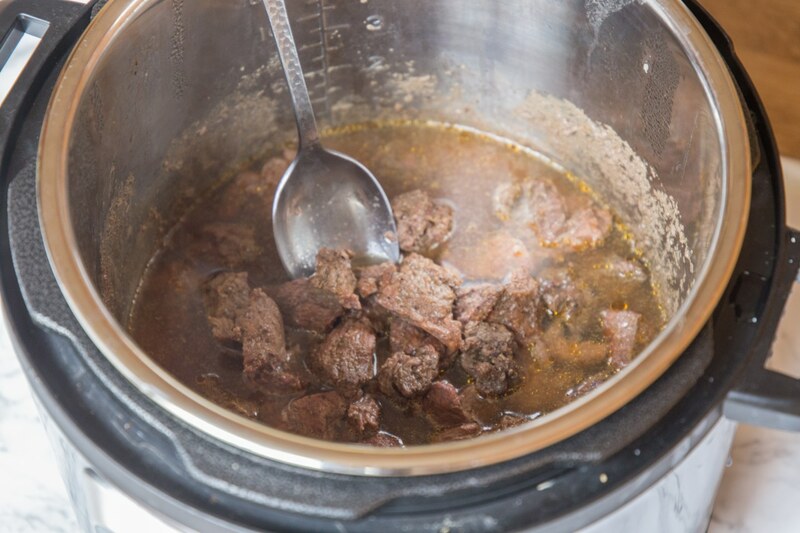 Use a slotted spoon to transfer the carne asada either directly to your taco, or to a bowl for easier serving. Set out your carne asada and tortillas with lots of toppings! Enjoy taco night! Want to see the recipe on a recipe page? Check it out here.